Administration, marketing and then property management - Siobhan Hawken’s real estate career indicates where ability and professionalism can lead you. She is highly organised, a great problem solver and a multi-tasker extraordinaire. Above all, she is dedicated to her job and to her clients. Something of an innovator, Siobhan makes things happen – it’s as simple and as complex as that. Siobhan understands the importance of forging strong relationships with her clients, and the merit in keeping the lines of communication open. She has an innate warmth that combined with her unique abilities explains why her clients trust her. 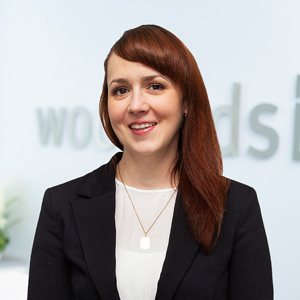 Prior to joining the Woodards Carnegie team, Siobhan worked locally. Her local knowledge proves to be another win for her clients. Family, friends, football, the beach and the community are among Siobhan’s loves – and we’ll include her job in that list also!